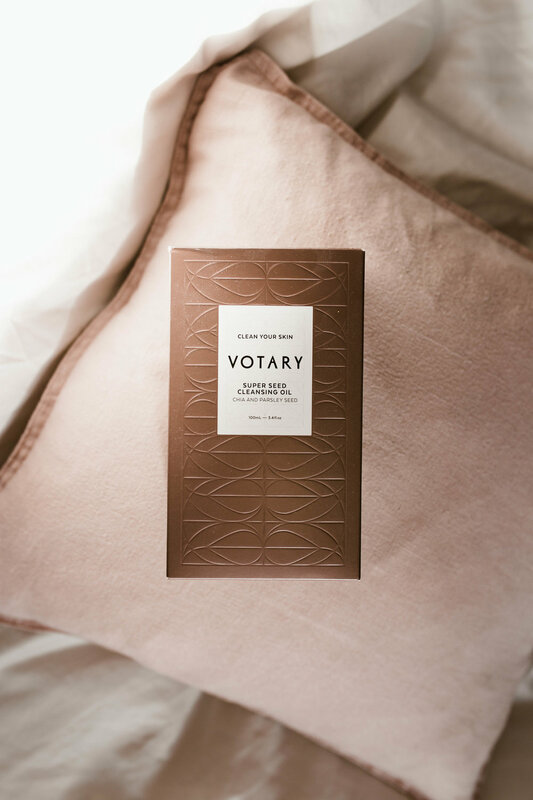 Sometimes I find things and the first thing I think about is I must tell them on the blog! but it’s always a strange compilations of things.. and I feel frustrated that they don’t have a ‘home’ on the blog where I can just share. So this is me making a home for all those miscellaneous things I want to share with you! Before I dive in, I just wanted to say thank you so much for all the love on my last post about my birthday, you guys are the kindest loveliest people! It made me so happy that you like those old school kind of posts too. You have my heart. Truly. I mentioned oil cleansing in this post before, and explained how and why I’ve started washing my face with OIL.. I know crazy right?! but trust me on this, it will revolutionise your cleansing routine! Especially in those dry winter months, it makes me feel like I’m giving myself a facial every night. 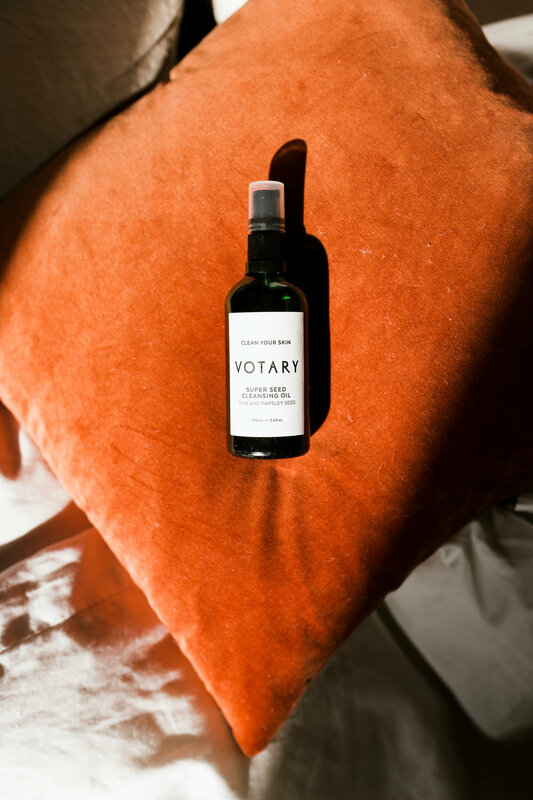 Votary was kind enough to send me some products to try out, and this was just a few weeks into trying out oil cleansing, and I was SO happy to discover they had their own cleansing oil blend.. and oh my what a great one. Not only is it all natural, it contains an amazing blend of seed oil (22 different oils to be exact!) - pumpkin, chia, broccoli and strawberry being some of them (!!) never thought I’d be washing my face with broccoli oil and tell you about it, but here we are. Now don’t get me wrong, you can most definitely oil cleanse with a very simple pure oil like jojoba or almond oil, this is more of a luxury and a special treat yourself kind of oil, but it does have some amazing qualities, I like to just massage it in and leave it on for 5 to 10min so my skin really drinks it up, before washing it off with their amazing cotton cloth included in the box. THE BEST THE BEST THE BESSSTTTT natural deodorant I’ve had the pleasure to get my hands on! I mark my words because if you’ve tried you know how difficult the quest for a good natural deodorant is. This stuff is the holy grail of natural deodorants. I kept seeing it pop up on Instagram, everyone was mentioning it, I just had to try it. Luckily Santa heard my wishes (I was very vocal about it) and I found this gem at the bottom of my stockings. I now swear by this, it smells like a coconutty tropical island heaven, it doesn’t leave any marks, and most of all it keeps you smelling fresh all day. Which isn’t always the case when you go natural…! 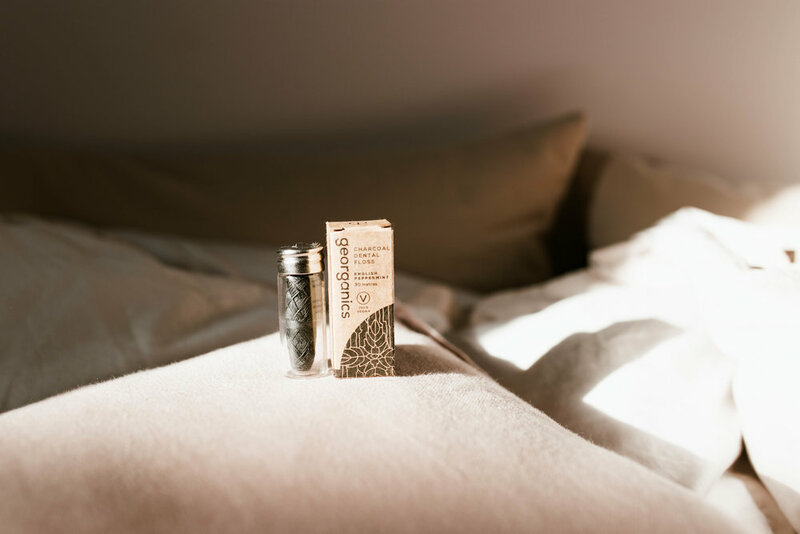 What I love about them is their honesty, they recommend putting your pits through a ‘detox’ haha which I think is amazing, and probably what most of us struggle with when switching to a natural option. Read this! 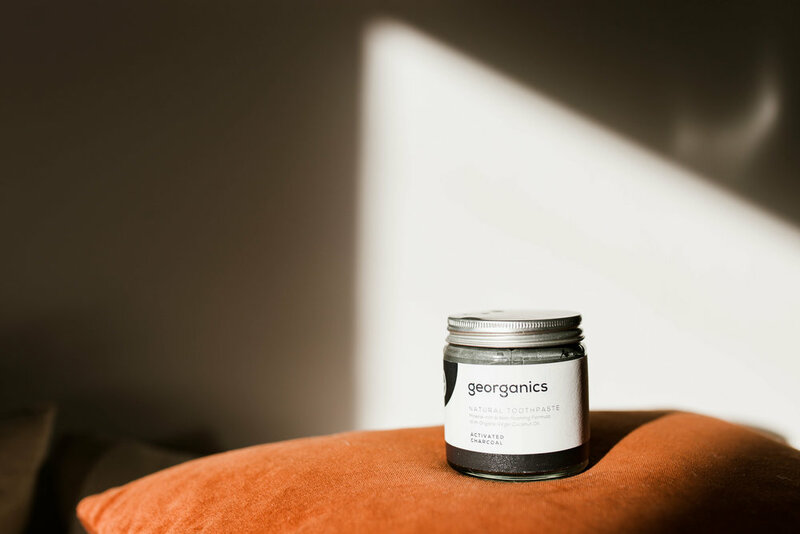 I first found this brand at The Source Bulk Foods in Clapham, I first got my hand on their charcoal dental floss, which is in a lovely glass container that you keep and you can buy refills! Later on, I found them on Instagram, and decided to try out their natural toothpaste (we’ve gone fluoride free for a few years now, and there’s no going back! I’ve now read about how glycerin in toothpaste coats your teeth and stops them from re-mineralising.. have you heard?) which again is all zero waste with no nasties. I really like the toothpaste, but M for example does not! The texture is different than what you’re probably used to and doesn’t foam (which is a good thing, what makes toothpaste foam is not natural..), which I don’t mind at all. (writing this I realised they now make a TOOTH SOAP?! Tempted to try it out haha) I then got really into the brand and decided to try out their oil pulling ‘mouthwash’ which is amazing! If you’re interested in the benefits of oil pulling but hate the feeling of cold coconut oil melting in your mouth, I highly recommend this one! It’s in liquid form, and taste really good thanks to some essential oils. All around fan of this brand! A friend of mine gave me this amazing aromatherapy balm a few years ago, and I fell head over heels for it! It smells AMAZING! I have the FOCUS one in blue. I sometimes use it as a perfume, that’s how good it smells. It’s not really strong enough for a perfume but it’s the perfect scent. I actually love to travel with it, it’s the perfect thing to apply all over your pressure points when you’re on a germy plane. It makes me feel calm, and almost turns economy into a spa. I actually need to stock up and realised they have SO MANY other ones that I must try! If like me, you’re very into your herbal scents and all about natural, calming essential oils, then check them out! The Four Agreements is one of those classics that I love to read every few months. Some amazing reminders that I wish I was better at applying to my every day life! I also read this book recently by Deepak Choprah which was amazing and I highly recommend. Last thing is the show “A Discovery of Witches” which you can find on Amazon, I didn’t have super high expectations and was so surprised by how much I loved it! I’ve known Teresa Palmer from her past work and Youtube channel and blog before, and love her work, she’s such an amazing mama, would love to parent the way she does one day! Anyway, she is amazing in it, highly recommend! This is it for now! I have a bunch of things I want to share with you and will do so in the coming weeks! Let me know if you know or have tried any of these!